At a ceremony Wednesday, May 30, Holland America Line was presented a 2012 Governor’s North Star Award for International Excellence in Tourism. 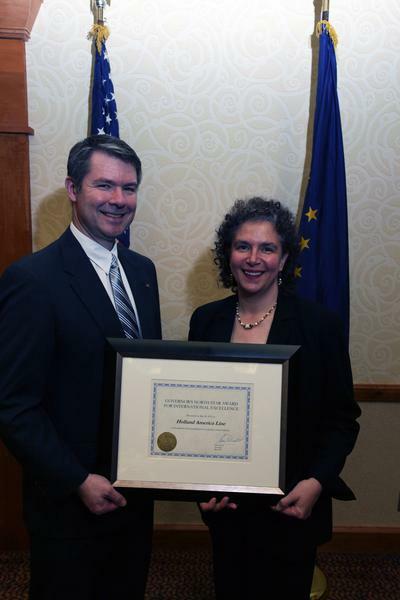 The award was presented by Commissioner of the Department of Commerce, Community and Economic Development Susan Bell at the Export Alaska luncheon in Anchorage. The honor recognizes Holland America Line’s contributions through its various tourism initiatives including cultural-exchange programs during Alaska cruises, promoting the state as a top visitor destination to overseas guests and North American guests, corporate giving and the line’s direct economic impact on Alaska’s local economy through cruises and CruiseTour packages. Holland America Line has been a partner in Alaska tourism for more than six decades. 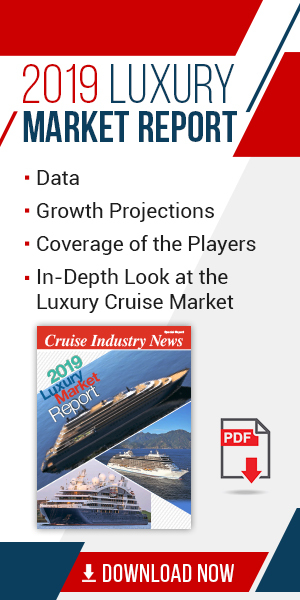 Each year the line brings approximately 325,000 guests to Alaska on cruises and CruiseTours, which had an economic impact on Alaska of more than $664 million in 2011. To support its land-tour products Holland America Line operates 15 hotels under the Westmark brand in Alaska and the Yukon, and uses 362 branded motor coaches and 20 railcars in the state. The line has more than 1,100 locally based employees, and partners with 540 local businesses including tour operators Within the Wild Anchorage, Skagway Streetcar Co., Chilkat Guides and Riverboat Discovery in Fairbanks. In 2012 Holland America Line will sail 130 cruises, a 6 percent increase in guest capacity from 2011. 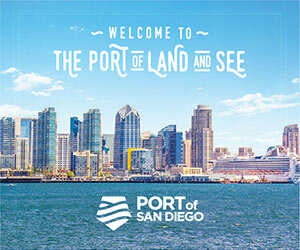 Recently the company announced cruise guest capacity will increase again by 7 percent in 2013 with 136 cruises to the Great Land planned. The North Star Award for International Excellence, created in 2008, honors excellence in nine categories: trade (export of goods), trade (export of services), foreign investment, education, tourism, transportation, cultural exchange, humanitarian exchange or scientific exchange. Other companies and organizations honored in 2012 include: RIM Architects for export of services and Helping Hands for Nepal for humanitarian exchange. Photo: Director, Tour Administration, Holland America Princess–Alaska/Yukon, Gideon Garcia, accepts the 2012 North Star Award for International Excellence in Tourism from Department of Commerce, Community and Economic Development Commissioner Susan Bell.